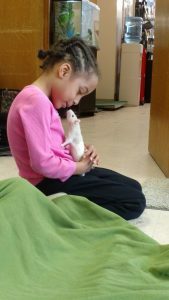 Not sure about what to do with your animal loving child during the upcoming PD Days? Why not register your children for one of our PD Day Camps? We are offering a program for children in grades 1-8. Registration for the programs can be completed online. The cost for this program is $58 taxes included (9:00am to 4:00pm). Before and after hours care can be provided at an additional cost. 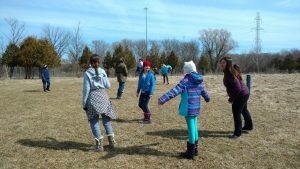 Guelph Humane Society March Break Camps are a great way for kids to have fun and learn more about the shelter and what we do here. 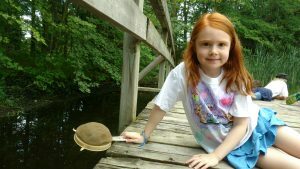 Our children’s camps include animal interaction, activities, and animal themed crafts! The cost for this program is $58.00 (tax included) per day. Please fill out the registration form completely and include as much information on your child as possible. Every day, campers need to bring a lunch and snacks, indoor shoes and outdoor clothing. Children should NOT bring cell phones, ipods, ipads or fidget devices with them to camp. We are NOT a peanut free facility. Refunds or exchanges may be requested up to one (1) month prior to the program. Any refund or exchanges requested will be subject to a 20% administration and service fee. Please ensure that your order is correct before submitting it. Camp runs from 9:00am-4:00pm, if you require before or after care for your child, please email jbach@guelphhumane.ca two weeks prior to the program date to secure your space. Space in before and after care is limited. Last minute before or after care may be subject to an additional charge. The Guelph Humane Society’s Summer Critter Camp will be happening in July and August! 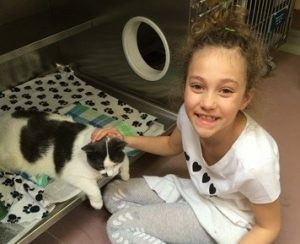 Each week from 9:00am-4:00pm, Monday to Friday campers will learn all about the Humane Society, proper animal care and how they can help! Children will have the opportunity to meet animals, make crafts and participate in animal themed activities! Each full week will feature a field trip, along with guest speakers! The cost for this program is $283.00 (tax included) per full week and $226.00 for PAW Camp. Every day, campers need to bring a lunch and snacks, indoor shoes and outdoor clothing. We are NOT a peanut free facility. Children should NOT bring cell phones, ipods, ipads or fidget devices with them to Junior Humane Club. Refunds or exchanges may be requested prior to June 17, 2019. Any refund or exchange requested prior to June 17, 2019 at 9:00am will be subject to a 20% administration fee. After said time, refunds will be issued at the discretion of The Guelph Humane Society Incorporated. Please ensure that your order is correct before submitting it. Camp runs from 9:00am-4:00pm, before and after care is available at a cost of $5 per half hour, per child, per day. Space in before and after care is limited. If you require before or after care, please email Joanne Bach, Client Services Coordinator, at jbach@guelphhumane.ca prior to June 17, 2019 at 9:00am to secure your space. Last minute arrangements for before or after care will be subject to an additional charge. For more information, contact the Guelph Humane Society at info@guelphhumane.ca or call 519-824-3091. We are looking for Junior Leaders for our Summer Camps. This is an opportunity for high school students to complete their volunteer hours in an exciting environment! Fill out the application and return it to the Guelph Humane Society at info@guelphhumane.ca. For more information and booking, contact the Guelph Humane Society at info@guelphhumane.ca or call 519-824-3091.